When you need a reliable and affordable plumbing, heating, and air conditioning company in Totowa, NJ, call Rite Rate! We’ve been in the business of plumbing and HVAC services for years. All of our technicians and plumbers are certified and experts when it comes to residential and commercial plumbing and HVAC systems. We offer services such as toilet installation, AC replacement, and heating repair in Totowa, NJ! Our services are affordable and include repairs, installations, and replacements of your plumbing, heating, and cooling systems. Are you having trouble with your commercial boiler? Is your residential furnace or hot water heater not working? No matter if you have a residential or commercial heater, Rite Rate is here for 24/7 emergency heating repair in Totowa, NJ! Our technicians are dedicated to providing the best heating services including replacements and installations. We can diagnose your heater and determine if you need a heater replacement. Rite Rate can also advise you on the best heater for your home or business and install it effortlessly. 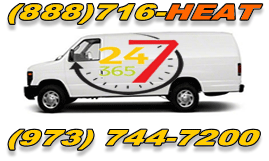 When you have an issue with your plumbing, you need a professional plumber on your side 24/7! Rite Rate has affordable plumbing services that include installations, repairs, and replacements. Our plumbers can install and repair pipes, drains, the sewer line, showers, sinks, and toilets to name a few. We can repair clogs, offer sewer and drain cleaning, as well as fixing broken or burst pipes! Call Rite Rate for an air conditioning company in Totowa, NJ that you can count on. We have an array of services to meet any budget and any residential or commercial air conditioner! You won’t be disappointed with our affordable air conditioner installation service. From heat pumps to central AC, we can install and repair any AC unit. Rite Rate is also available for 24-hour emergency air conditioning repair because there’s no telling when your AC will stop working.